Discounted Price garage in sant quirze area sant quirze del valles. 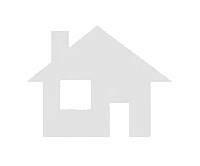 Economical garage to buy in valles area. Discounted Price garage to buy in egara area. Second Hand garage in espirall area sabadell. 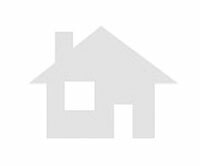 Economical garage to buy in sant ferran area sabadell. Second Hand garage in sant ferran area sabadell. Second Hand garage to buy in sant ferran area sabadell. Second Hand garage in fontanet area sabadell. Discounted Price garage in fontanet area sabadell. Second Hand garage to purchase in sant ferran area sabadell. Discounted Price garage to buy in sant ferran area sabadell. Second Hand garage to purchase in fontanet area sabadell. Discounted Price garage to purchase in fontanet area sabadell. Second Hand garage to buy in calderon area sabadell. Second Hand garage to buy in sallares i pla area sabadell. Discounted Price garage to buy in sallares i pla area sabadell. Discounted Price garage in sant ferran area sabadell. Second Hand garage to buy in fontanet area sabadell. Didn't find the garage for sale you are looking for? * Your data is only for sending this message, none will be stored. © 2002-2019 housespain.co.uk, Forbidden total or partial reproduction. Your Spanish real estate website of properties for Sale and Rent. Find your house in Spain is much easier with the availability of properties navigation that Housespain can offer to you. NOTICE: It is possible that some of the ads in the listing are not shown on the map, this is because we do not have enough information for their correct geolocation.